A week of blogging? Maybe… I won’t promise anything but I still have a lot to post from last summer & fall! A girl in a field; this is all I need to make my heart happy. Combined with a splash of gorgeous hazy evening light and a beautiful vintage dress! Next up I’ll be blogging her big sister and a beautiful horse named Ginger! This could be you! 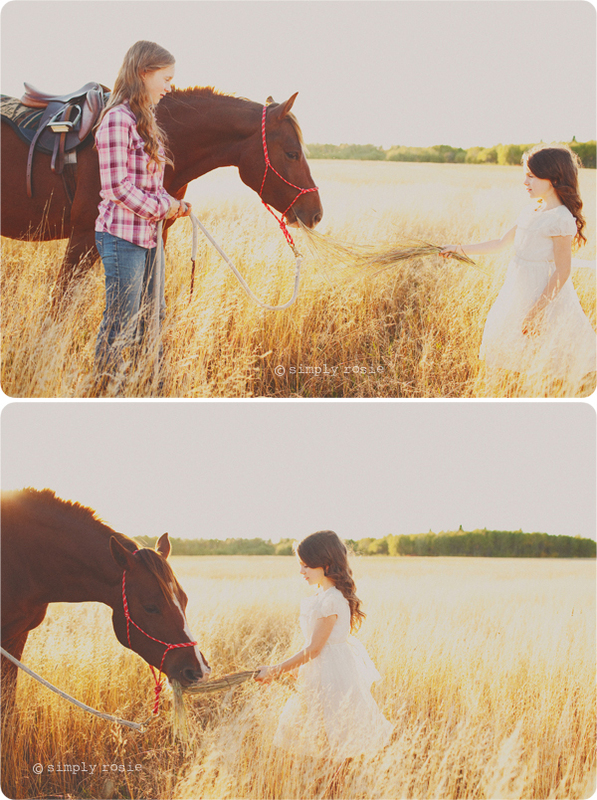 In a wedding dress, a field, a horse, sunshine = recipe for amazing! It’s one of my many dreams! Love this shoot Rosie. The colours are gorgeous. these are just plain heavenly. such a gorgeous girl and such gorgeous light!!! beautiful. These are simply too gorgeous. I’m really in awe of this lighting! The last one is glorious! Where did you find the beautiful dress? Hi Pam! I got it at an antique shop by Minneapolis.